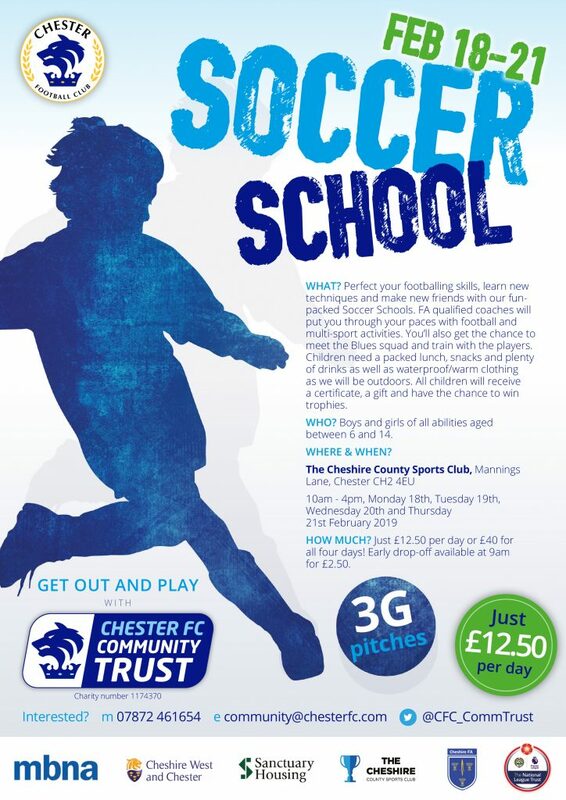 This February half-term sees the return of the Chester FC Soccer School with bookings now being taken. The four-day course is running at The Cheshire County Sports Club in Upton from Monday 18th until Thursday 21st February. Each day runs from 10am until 4pm each day and features coaching drills, games and tournaments with FA qualified coaches from Chester FC Community Trust. The camp costs £12.50 per day or just £40 for all four days. An optional 9am early drop-off is available for £2.50 to help parents plan for the school holidays. Online booking is available through Eventbrite (additional booking fee applies) at community.chesterfc.com/book-online.